HORROR COMICS FROM YOURS TRULY — Thomas A. Crowell, Esq. I’m very excited to announce that Waxwork Comics has bundled two of my horror stories in an “all Crowell” issue of House of Waxwork! 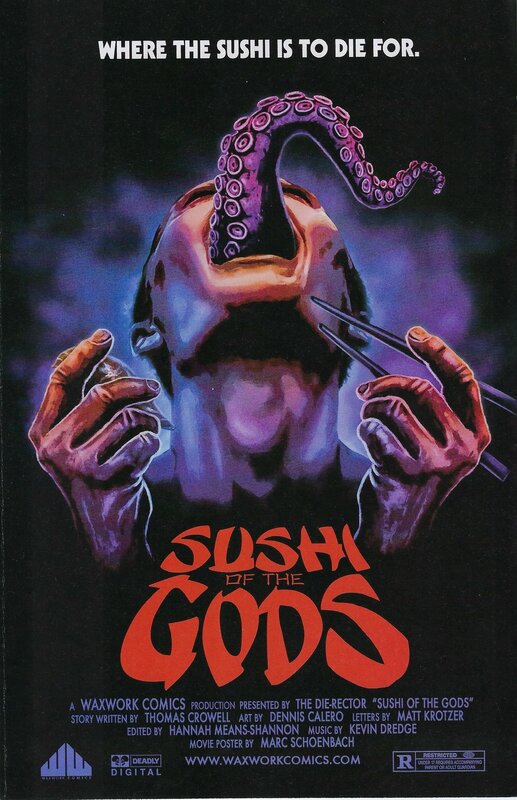 “Sushi of the Gods” is a story of eel rolls and Elder Gods. 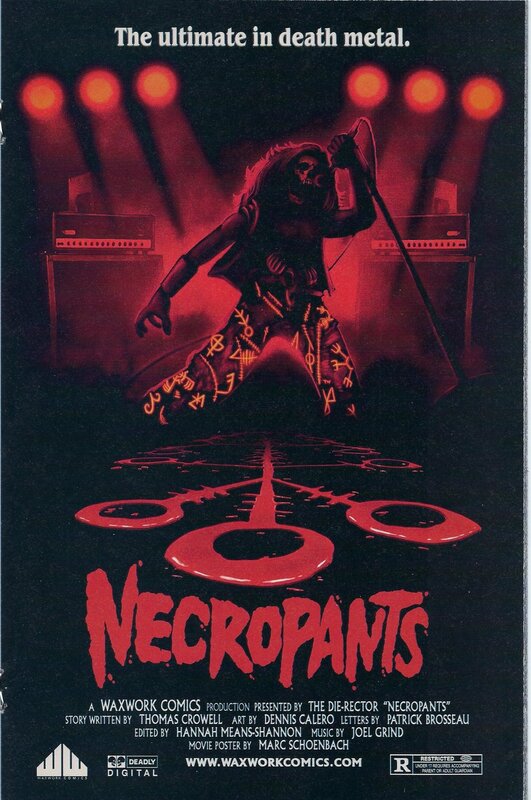 In “Necropants” readers will learn that mixing Heavy Metal and Black Magic can take you far in the music biz... even to the grave. 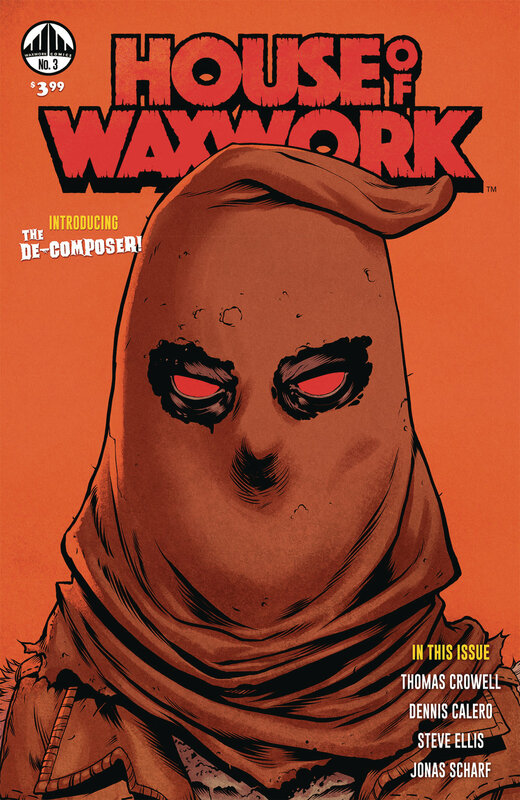 Published by Waxwork Comics and distributed by Diamond Distribution, House of Waxwork #3 is available in stores nationwide. The stories are drawn by Steve Ellis (Necropants) and Dennis Calero (Sushi of the Gods) and lettered by Patrick Brosseau and Matt Krotzer. Cover art by Justin Erickson. Movie poster art by Marc Schoenbach. If you’re in N.Y.C., swing by Midtown Comics and pick up a copy.